I finally got my new lip gloss wands from Lotion Crafter in...YEAH! 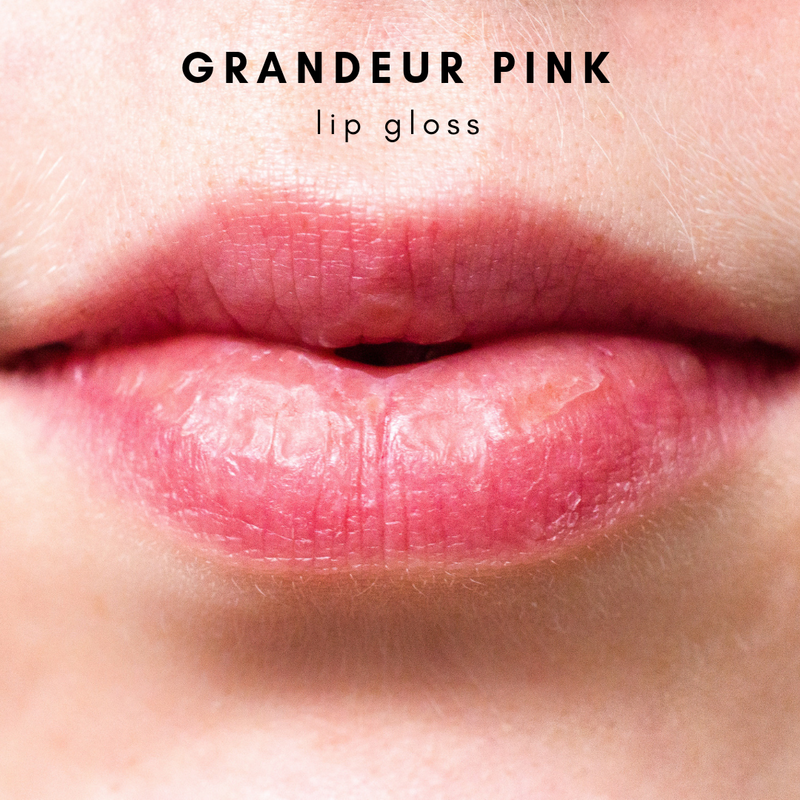 I made this beautiful pinky mauve lip gloss that is not sticky at all and feels really slick and moisturizing! You need 4 grams of clear Jojoba oil. You need 4 grams of castor oil. You need 1.5 grams of Cera Bellina. You can substitute beeswax, but your formula will not be as slick and smooth. I like Cera Bellina over beeswax because I feel that beeswax makes it stickier and it feels like your lips instead of being silky smooth. I just love the way the pigments blend into formulas that use Cera Bellina versus beeswax!!! You need 0.2 grams of Pigment White from TKB Trading. This is simply titanium dioxide that has been dispersed in castor oil and makes it super easy to mix into the other ingredients. Add all the above mentioned ingredients into a sanitized glass beaker and place it in a simmering water bath so that the cera bellina can fully melt into the other oils. Takes about five minutes or so. Make sure not to get any water inside the beaker. You will need 0.2 grams of Satin White mineral pigment from TKB Trading. You need 0.1 grams of Red Basics mineral pigment from TKB Trading. This is a beautiful mixture of shimmering mica and iron oxide. You need 0.1 grams of carmine dye liquid from TKB Trading. ***Sorry for the sideways photo, I blame my I Phone! You will also need 0.05 grams of Vitamin E Oil to keep the oils from turning rancid. Add the liquid and dry mineral pigments to the first phase of oils and mix and smooth until the lip gloss mixture is evenly pigmented and there are no lumps of pigments in the bottom. You need one 10 ml lip gloss wand container and a filling syringe. I get these from Lotion Crafter. Simply draw the hot melted liquid into the filling syringe and slowly fill the lip gloss container to the neck line. Don't overfill or it will spill out when you insert the wand. Place the wand lid into the base and allow to cool at room temp. Here is the beautiful swatch on my hand. So gorgeous!!! !